I’m not a big breakfast person but this looks amazing! This will make you one! Yum! This quick, delicious, gluten-free, vegan, nut-free and protein-packed Cocoa Banana Cinnamon Quinoa Flakes breakfast checks off most of my morning must-haves! Hmmm….I love all the herbal teas of the world! Red raspberry leaf, chamomile, and peppermint are my favorites along with green tea and Rooibos. Peppermint is my favorite herbal! Chocolatey banana goodness! What a packed punch for breakfast. Love it! That’s why you should never neglect the archives! Well this post is 3 years old, but thanks! Looks great! I actually bought a bag of quinoa flakes the other day and just then put them in my pantry cus I’m all like…. what do I do with these?! The combinations are endless and so are the uses! This honestly looks amazing! And I totally love magazine subscriptions also 🙂 So much better than online!! This chocolate quinoa recipe sounds wonderful and filled with health. Pinned & tweeted! I love this recipe and these new pictures! I just found my breakfast! I have all the ingredients in the house for this. Sounds delicious, and I love how quick and easy it is to make! Fantastic!! Let me know how you like it! Oh I would love to go to blend! You should! I just keep telling myself it will happen, I am just waiting to see the price now! Great recipe, I love that you can do so much with quinoa, thanks for sharing on Real Food Fridays, join us again tonight. I love yoga. I think investing into a yoga magazine would be good! I would love to go to the Blend, but I don’t have the money or confidence to go. *le sigh* Maybe next year when I talk to more people and blog more. I don’t know. I think it would be weird because I am a newbie and all..
Haha, we have a lot in common! And definitely look into getting Yoga Journal it is really cheap! So you will be making a really good “investment”! And don;t worry about being a newbie! Blend is for all bloggers and readers! We are just there to make “blends”! Haha. Haha! Magazines really are a huge waste of paper. All the articles are the same month after month or can be found online. Online reading is perfect for when your waiting somewhere or doing some cardio at the gym! But I do like to get at least one physical magazine because I don’t really like reading everything on a screen! Looks relish! Thanks for linking up to HVF! Congrats on Popsugar! That’s super exciting! Wow you’ve got a ton of hard classes! Congrats on being a Select Blogger too! 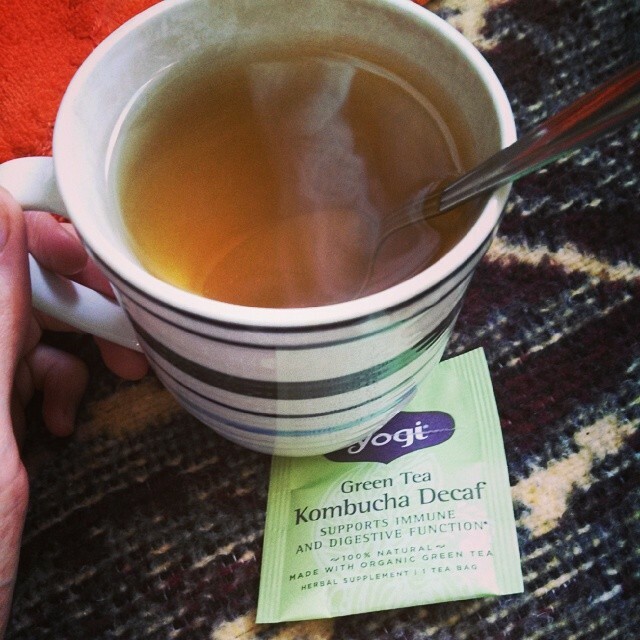 Does the kombucha green tea have the benefits of regular kombucha? I went to Blend Retreat last year and wish it was somewhere else so I could travel. Park City and the hotel was gorgeous though. I want to go to Fitbloggin’ this year! I believe it does, otherwise the couldn’t call it kombucha! Do you live in Utah or why can’t you travel? I want to go to both….I just need to figure out the money situation haha! I went last year and wanted to use it as an opportunity to travel elsewhere this time. Congrats on POPSUGAR! So exciting and well deserved! I wish I could go to Blend so bad, it looked like a blast last year. It does look like so much fun and I really want to meet so many of the lovely bloggers who go! Both the POPSUGAR gig and the banana thing are HUGE deals so MAJOR CONGRATS! I hope you’re screaming “I’m Awesome!” from the top of your lungs! 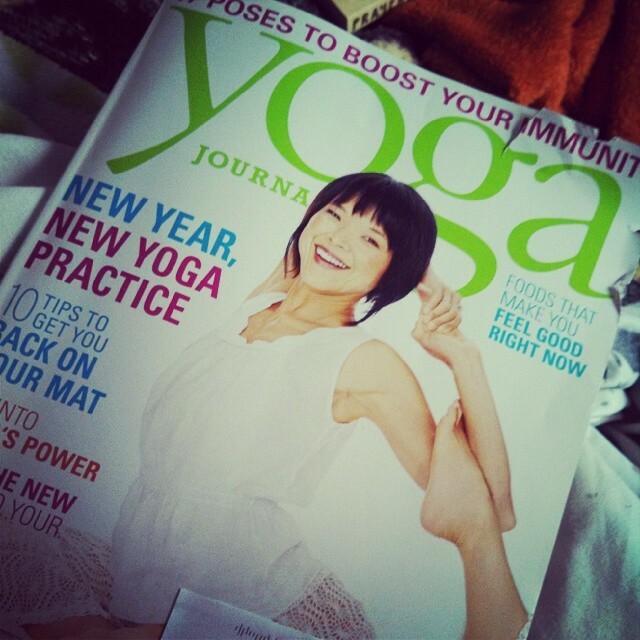 I subscribe to Yoga Journal as well but I tend to hoard magazines for gym reading so I’m like…6 months behind, ha! I will catch up on my reading though. I have been getting Seventeen magazine for about 4 years since my subscription ended…I have no idea how that keeps happening but I enjoy reading the “crush advice” aloud to friends when we are hanging by the pool in the summer. It’s hilarious. Thank you so much Caitlin!!! I usually get stressed out if I have an unread magazine, haha, so I usually read through them within a week of getting them! I used to get Seventeen too, but it was just the same tween girl crap every month so that subscription stopped really quick…thank god! haha! Congrats Rebecca on the feature with POPSUGAR! That is seriously amazing! OMG…I totally want to go to Blend! I definitely have to look into and see if I can swing it. It looks like so much fun! Yes, you have to go! I bet it is going to be killer this year and I can’t wait!!! Congrats on the gig with POPSUGAR, girl! That’s freaking awesome 😀 And I had the same.exact.problem with bananas back in the day, but now I eat 2 or 3 a day without experiencing any negative effects… Fears like that are just goofy and need to be challenged. I’m super freaking excited to go to Blend this year! I put off going last year and was totally kicking myself for it, so I’ve made it a point to make sure to go this year. A weekend of hanging with blog friends? Sign.me.up. Blend looks so fun and I was so jealous last year but I wasn’t a blogger then and it just would have been weird but now so much has changed and I just have to go!